OLD PARKED CARS. : 1966 Plymouth Valiant 100. 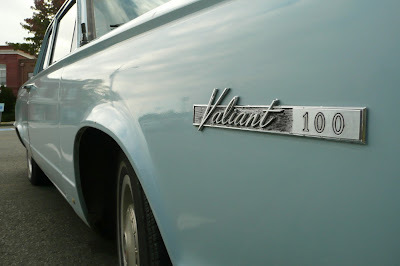 Perfect connection with the younger kid and the old Valiant. 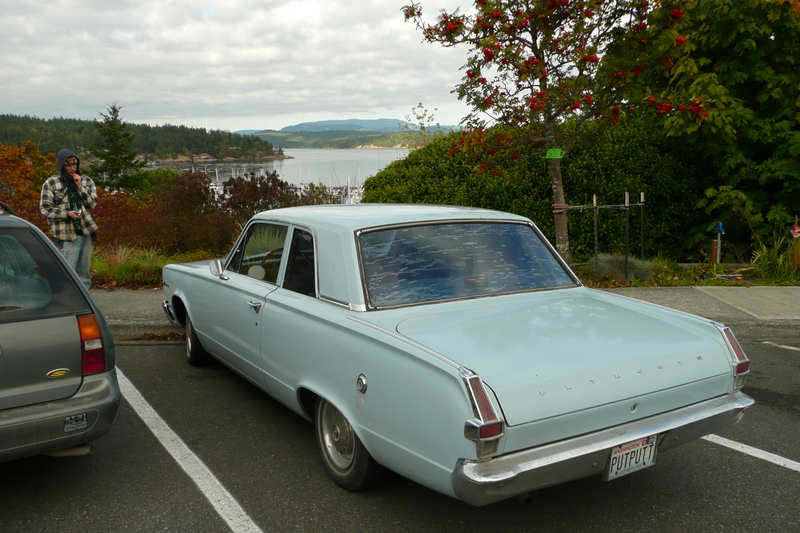 A lot of younger people in movies drive older cars because of their aesthetic qualities. You don't see it as often in real life. It hard to find older cars like this for young people to buy. Usually they buy old cars from the early 2000s as that is about 10 years old. Nice to see this unmolested example. Looks like it has had a recent repaint. Two door version. Nice. Original wheels and hubcaps. Probably a run-forever slant six. Very nice. 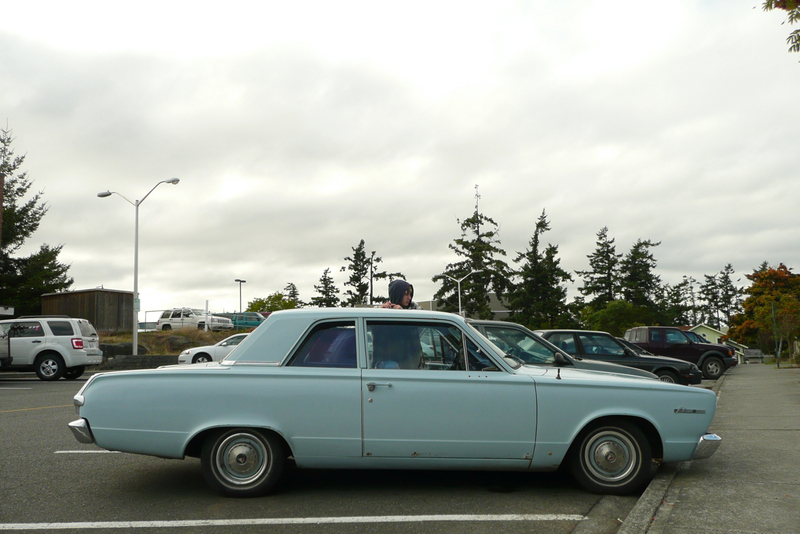 Looks great in that shade of blue with those dog-dish hubcaps. would drive and change nothing. I'm feeling an epic OPC highschool-roadtrip-vibe here, particularly from the kid (not staged). 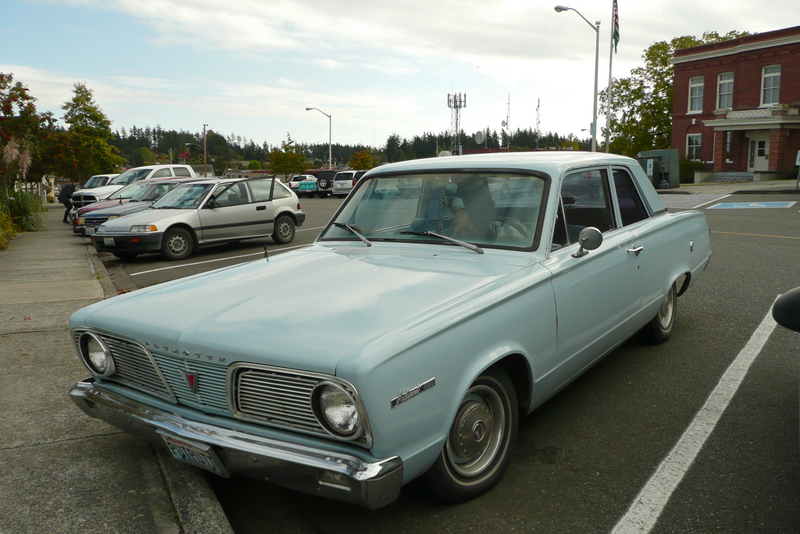 I don't care how many doors a Valiant has, but a 2 door sedan is particularly tempting.